In the recent case of Dion v. Batten, No. COA16-63, 2016 WL 4088417 (N.C. App. Aug. 2, 2016), the North Carolina Court of Appeals held for the first time that an underinsured motorist (UIM) carrier has standing to seek a determination of the amount of the workers’ comp lien. This decision could have a significant impact on the amount of the UIM carrier’s liability in certain cases. The basic facts in Dion were that the plaintiff/employee received $528,665.61 in workers’ comp benefits as a result of the accident. The liability carrier tendered its policy limit of $30,000, and the primary UIM carrier tendered its limit of $70,000 ($100,000 – $30,000). This resulted in a total initial payout of $100,000, which was split equally between the plaintiff/employee, the plaintiff/employee’s attorney and the workers’ comp carrier. The workers’ comp lien remained intact and was not waived or reduced. The plaintiff/employee then demanded arbitration with two additional UIM carriers. The UIM carriers disputed that all of the plaintiff/employee’s alleged injuries were related to the accident. The arbitration panel ultimately agreed and awarded plaintiff/employee $285,000. The trial court entered judgment on the arbitration award, which included an award of interest in the amount of $74,291.50 and costs in the amount of $160.00. After judgment was entered by the trial court, one of the UIM carriers filed a motion for a hearing under N.C.G.S. § 97-10.2(j) and asked the court to determine the amount of the workers’ comp lien. The plaintiff/employee, the employer, and the workers’ comp carrier opposed the motion and argued that UIM carriers do not have standing to seek a determination of the amount of the workers’ comp lien under N.C.G.S. § 97-10.2(j) because that statute is available only to employers and employees, not UIM carriers. The court rejected this argument and held that UIM carriers do have standing to pursue a determination under the plain language of 97-10.2(j). With regard to the amount of the workers’ comp lien, the workers’ comp carrier argued that its lien was $528,665.61, the total amount of comp benefits it had paid to the plaintiff/employee. The court disagreed and held that the workers’ comp lien could not exceed the third party (i.e., UIM) recovery. The court further held that court costs, attorneys’ fees and interest are not subject to the workers’ comp lien. The lien was ultimately determined by the court to be $190,000. The court arrived at that figure by subtracting the plaintiff/employee’s attorneys’ fees ($95,000), interest ($74,291.50) and court costs ($160.00) from the total judgment obtained by the plaintiff/employee ($359,451.50). The amount of the lien proved to be very significant from the UIM carriers’ standpoint because it ultimately meant they had no UIM liability at all. This is because, under Austin v. Midgett, 166 N.C. App. 740, 603 S.E.2d 855 (2004) and Walker v. Penn Nat’l, 168 N.C. App. 555, 608 S.E.2d 107 (2005), the UIM carrier is entitled to an offset equal to the difference between the amount of workers’ comp benefits that were paid to the plaintiff and the amount which must be reimbursed to the workers’ comp carrier by virtue of its lien. Under Austin and Walker, the UIM carrier’s liability is calculated by subtracting the amount of workers’ comp benefits from the total value of the plaintiff’s loss, then adding the amount of the worker’s comp lien, then subtracting the amount received from the liability carrier. When this calculation was performed in Dion, the result was a negative number which, according to the UIM carriers, meant they owed nothing. The UIM carriers took the position that they had no UIM liability since the above calculation resulted in a negative number. In my opinion, there are some compelling arguments to the contrary, but those arguments were not made because the plaintiff/employee, the employer and the workers’ comp carrier conceded that a determination that the workers’ comp lien was $190,000 “effectively release[d] [the UIM carriers] from liability.” Significantly, the Court of Appeals did not address this issue. Therefore, Dion has no precedential value as to the effect of the amount of the workers’ comp lien on the amount of UIM liability. For UIM carriers, the real significance of Dion is that it confirms what many have believed for quite some time – that N.C.G.S. § 97-10.2(j) provides a mechanism for UIM carriers to seek a judicial determination of the amount of the workers’ comp lien. The facts in Dion may be somewhat unique, and a judicial determination of the lien amount will not benefit UIM carriers in every case. UIM carriers will need to perform the appropriate calculations in each case to determine whether a motion to have the lien determined is worth pursuing. 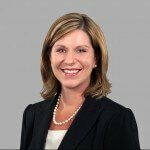 Jennifer Welch is Co-Chair of the Insurance Law practice group at Cranfill Sumner & Hartzog LLP. Since joining the firm in 2003, she has developed a statewide civil litigation practice representing businesses of all sizes, insurance carriers and individuals.